Nov. 10, 2015­­ — New York, NY – ToughTested is pleased to announce that it has been named a CES 2016 Innovation Awards Honoree for its Jobsite, heavy duty, noise control e arbuds with mic. Products entered in this prestigious program are judged by a preeminent panel of independent industrial designers, independent engineers and members of the trade media to honor outstanding design and engineering in cutting edge consumer electronics products across 27 product categories. ● Built for noisy environments either on the job or off; ideal for tradesman, landscapers, construction, military, motorsports, indoor/outdoor recreation or sporting events enthusiasts. ● Certified Noise Reduction Rating (NRR) of 23 db provides protection against outside influences that may damage hearing over time. ● Proprietary EQ­Voice technology and Halo 360 mic, specifically designed for people who spend a lot of time in noisy environments; these features enable you to listen to High­Fidelity music and then with the flip of a switch allow you to take clearer, louder phone calls (EQ­Voice automatically boosts volume by 10db in call mode). ● IP64 rated for water/sweat/dust resistance. “We are thrilled with the honor and distinction from the preeminent, consumer electronics industry organization for what we perceive as filling an important gap in the market. The ToughTested noise control, audio line is unique because it is a product line that both stands up to the elements while also offering protection against potential hearing damage from exposure to environmental noise that is inherent in certain work and recreational settings. The core demographic of ToughTested consumers typically require this protection as th ey work and play in places where noise has been known to pose a public health risk,” says Tom Buske, Director of National Sales for ToughTested. The prestigious CES Innovation Awards are sponsored by the Consumer Technology Association (CTA)TM, the producer of CES 2016 which is the global gathering place for all those who thrive on the business of consumer technologies. CTA has been recognizing achievements in product design and engineering since 1976. 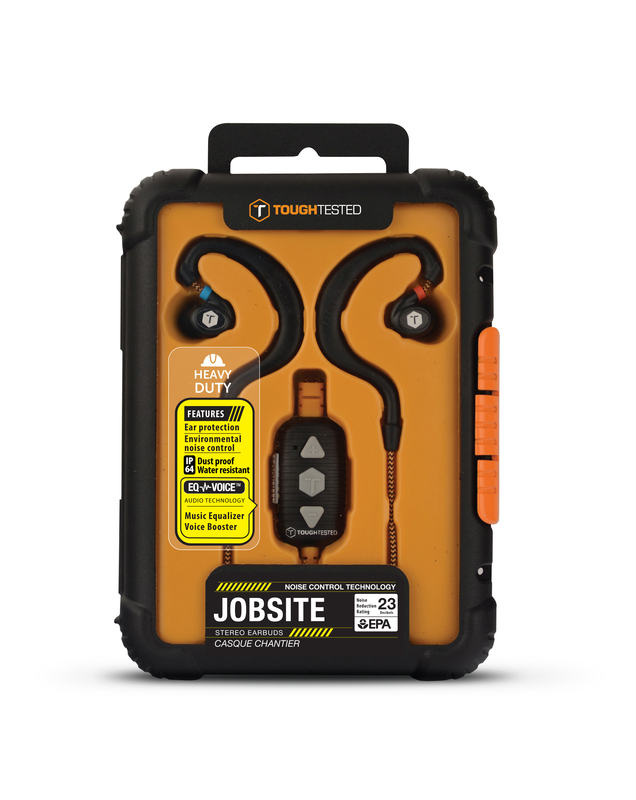 The ToughTested Jobsite, heavy duty, noise control earbuds with mic will be on display at The Innovation Awards Showcase in Sands, Level 1, Hall G at CES 2016, which runs January 6­9, 2016, in Las Vegas, Nevada. They will also be exhibiting these award winning earbuds at CES Unveiled New York, at the ToughTested table. CES Unveiled NY is occurring 4:30­7:30 PM today, November 10, 2015 at the Metropolitan Pavilion in New York, NY. 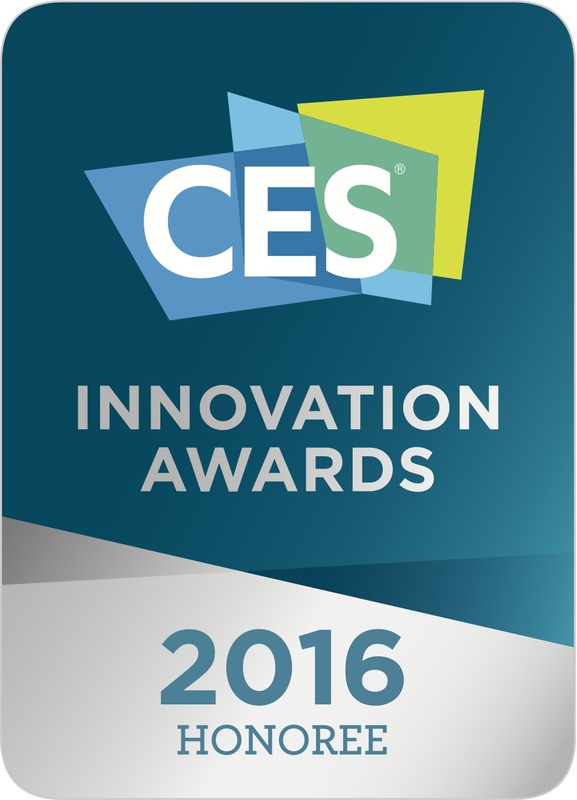 All CES 2016 Innovation Honoree products are also featured on CESweb.org/Innovation, which lists their product categories, as well as each product’s name, manufacturer information, description, photo and URL. The ToughTested brand of rugged, mobile accessories has also recently launched a brand new web experience at www.toughtested.com where you can view these award winning earbuds as well as all of their other products which include mobile cases, chargers, powerbanks and additional audio products all designed for those who need a little extra protection from life. ToughTested is a brand of consumer electronics launched in 2012 by Mizco, a 25 year industry veteran to address the need for heavy­-duty mobile accessories amongst those who work and play in tough, demanding environments. Designed to survive wear and tear, the ToughTested line strives to provide extra protection and security for mobile accessories being used everyday in industries like construction and trucking and in rugged leisure activities like hunting, fishing, camping, boating and motorsports. Visit the ToughTested website www.toughtested.com for more information or to shop. Follow ToughTested on Facebook, Twitter, Instagram and YouTube for the brand’s latest news as well as to participate in fun contests and giveaways.